Life finds a way... to Netflix and chill. 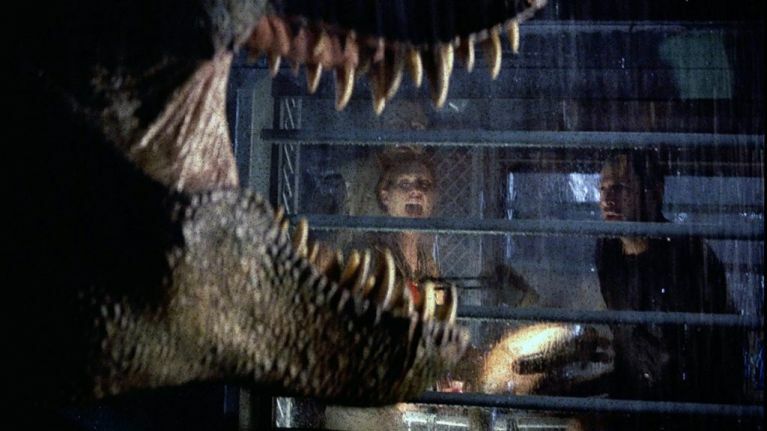 Released in 1993, 1997, and 2001 respectively, the original Jurassic Park trilogy were must-see blockbusters back in the day, and fans will be very happy to know that they've all been added to Netflix as of Tuesday 16 April. While, obviously, the original is still the best (even with the additions of Jurassic World and Fallen Kingdom), winning three Oscars and going on to make over a billion dollars at the worldwide box office, there are still some great highlights to be found in The Lost World and JPIII. The scene in the first sequel involving not one, but TWO T-Rexes rampaging through our heroes camper van, doing their best to send it flying over the edge of a cliff, still stands up well in terms of special effects and overall tension. Meanwhile, the initial attack on the airplane in JPIII, brought on by the Spinosaurus, a big baddie that is bigger and badder than the T-Rex ever was, is a great action set-piece. Plus, you could always just rewatch the original, if the sequels don't do it for you? That first sight of the Brontosaurus yelling at tree? The T-Rex attack in the rain? The spitting dino scene with that hacker trying to escape? Everything to do with the Raptors in the kitchen?? Yep, we're just gonna rewatch all of that right now.